Ciao Lilli! Com ben sai ho un debole per questo tipo di scarpe....queste, poi, in pizzo, son splendide! Belli i tuoi panta floreali! Buon we a te carissima! Lilli cara hai scelto un abbinamento che a me piace molto. Le scarpe così decorate abbinare ai leggings fiorati sono troppo belle. Come sempre il tuo buon gusto non sbaglia mai un colpo!! Un bacio grande!!! Hi, Lilli!Those flowery pants are so cute!!! Really love this outfit...!Many kisses dear xo Have a great weekend!!! I love the florals and what an adorable necklace. You are stunning babes. Love your sneakers. All perfect Combination. Lovely casual look, love your fine necklace. So pity the white part of slip-ons it stains. sai essere sempre semplice e bella lo sai? <3 un mega baciotto! 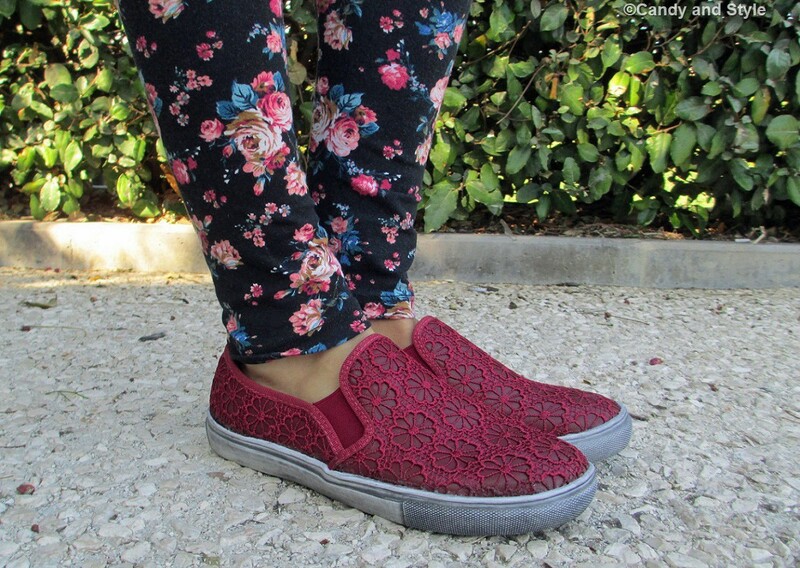 I really like the floral pants and the brodery of your slip-ons! Mi piacciono molto le scarpe, sportive me di gran classe! Anche il tuo look mi piace tantissimo e poi a te sta proprio bene tutto. Adoro, queste slip on, proprio un bel colore diverso dal solito nero. Wow! !You look great!Beautiful outfit! !Super style!! Like your leggings the earrings and the necklace !! Che belli i pantaloni stampa floreale Lillina..
Che bella che sei Lilli!!! Mi piace molto la stampa dei leggings e quelle slip on sono favolose!!!!! Bellissima Lilli e le scarpe sono favoloso! Un bacione tesoro. Dear Lille, se carina come sempre! The neutral cardigan is a perfect piece for the floral leggings and you look pretty in the whole outfit. But my two favorite accessoires are the slip ons anf the cute necklace. I like pendants with initials. che bella che sei! la stampa dei leggings è deliziosa e ti stanno veramente da favola! I abosolutly in love with your pant! Love your blog. 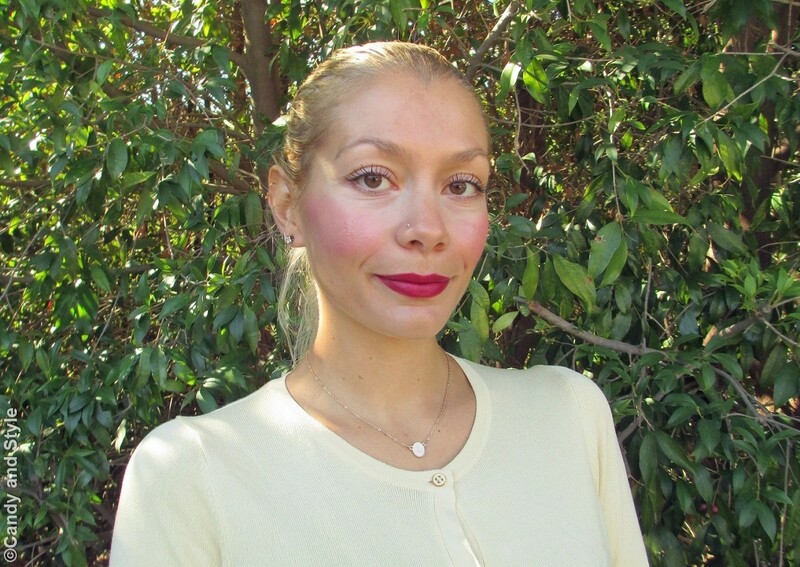 Follow you as Oksana Arutyunova. Hope you'll visit mine and maybe do the same for keep in touch! Ooh you're wearing your pretty floral lace slip ons. They look even better on you Lilli and the outfit you have styled them with is so feminine and cool at the same time just like you :) Have a splendid weekend my dear! I adore florals this time of year and your leggings are perfect with the darker print! Love that your wore your cardiagn like a top and those shoes are super cute! Very cool outfit and very nice make up! Have a nice weekend!!! Baci!!!!!!!! Lilly ma che bella che sei! Era da tempo che non giravo per i blog ... Per impegni vari" Ti trovo stupendamente! Adoro il tuo outfit ... e la collana? che sfizio! 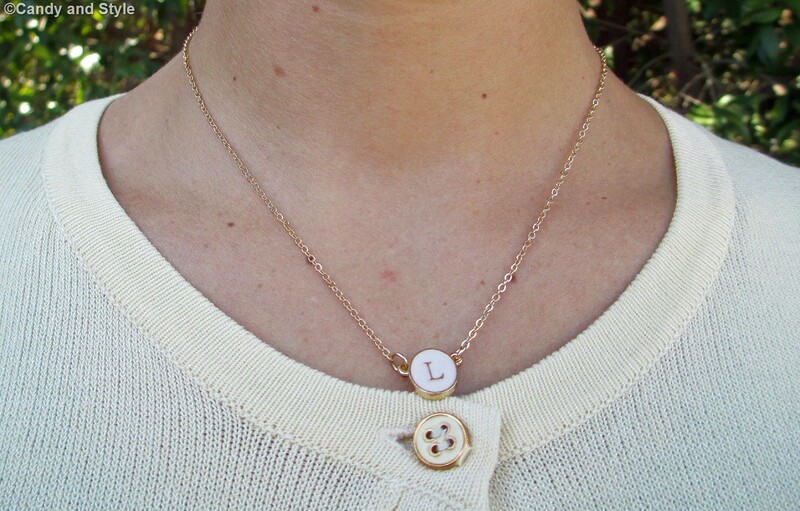 Hi Lilli, your monogram necklace is so pretty. It suits you so well. I like your floral pants. Looks so festive and happy! Lovely style, lake the lace detail and your makeup. WOW!! I really like you with this lips colour! And love your letter L pendant! Have a great week end too! che carine queste slip-on! buon weekend! I love floral print and this reminds me the lovely Spring...haha.. you're wearing this cute floral lace slip one. I loved how you have styled them. Loved your makeup so much, you have such wonderful eyes and skin girl! bellissimi i colori dei tuoi pantaloni! Adoro questo look e adoro le fantasie floreali in autunno, poi abbinare la collana ai colori dei bottoni è veramente un tocco di classe! Bellissima come sempre! Bellissima in questo casual style!! ciao Lilli! sei bellissima anche con questo look! mi piacciono un sacco anche le scarpe! I love your shoes Lilli, I think I'll need some for the summer are very comfortable! Well you you know that the floral print is my favorite ever, you spend a good weekend! Kisses. Hey Lilli! You look so wonderful with floral print.. I adore those pants so much. I swear I always want all your pants, you find really amazing ones =D And wow, gorgeous plum-burgundy shoes.. I've been looking for that exact color! Love the lace patterns on it too.. such a great piece :) Sorry for the lack of comment hun, I've been so busy at work and hardly have time to blog :( I hope you'll have a wonderful week ahead of you! Beautiful pants Lilli! Looking good sweetie! Belli questi leggings Lilli e le slip-on sono fantastiche! Un grosso bacio e buona domenica!!!! Che bella Lilli! Mi piace tutto, soprattutto le scarpe! The lace slip on are a heart melter for me dearie! Kisses and hugs my doll! Hey Lilli. I love the letter L necklace on you. How apt. I couldn't really see the earrings though they must be just as pretty. I saw a similar laced shoes as yours in cream and wanted to get them but they couldn't stay on my feet. Referring to your previous post, I haven't realised that I missed out so many Instagram updates of yours. It's great that you have around up post too. Summer has ended but I'm sure Christmas would be magical for you! Ciao Lilli. In questo outfit ci sono due cose che adoro: le stampe floreali e le slip-on. Inutile dirti che mi piace un sacco questo abbinamento. Un bacio. Che bello il tuo cardigan dolce Lilli e la fantasia dei legging è troppo carina! Thanks a bunch for your comments! Kisses!